Physics-based car racing game puts you behind the wheel of a monster truck facing an impossible looking obstacle course. Racing at full speed is not enough but you need to find the right balance to finish first. 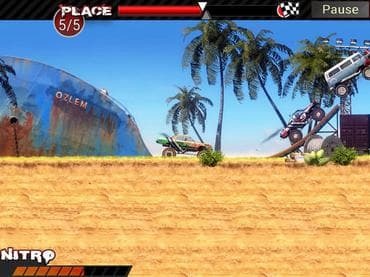 Eight unique unlockable monster trucks and huge number of racetracks to play. If you have questions about Crazy Monster Trucks game, please contact us using this form.